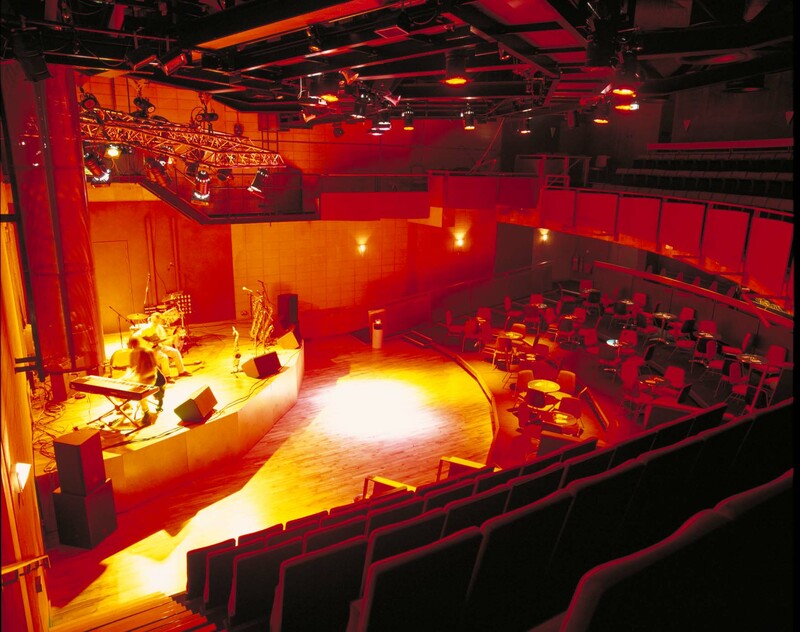 ARC houses a 275-seat theatre, a cabaret venue, cinema, dance studio, interactive studios and support accommodation. The building celebrates the arts and their role in civic life: the full height glass façade makes the three-level foyer, with its bars and public spaces, highly visible, during the day and at night.Informality and accessibility characterize our work here and the design of the building's interiors reflect this. 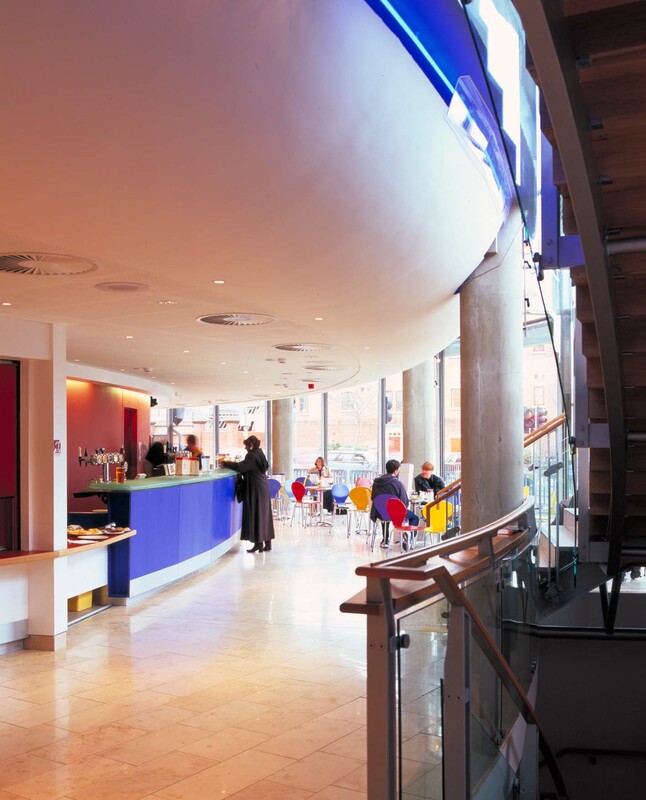 ARC is defined as a major public space by the curved glass wall to the three levels of foyers. Arts centre and street are part of the same urban experience. The foyers are central to the building's success. Colourful and welcoming spaces featuring programmes of video art works, which attract people throughout the day to cafés and bars. At night the brightly lit spaces are a focus for audiences and a display of community life.Our role as architects was to create a multi-purpose space that integrates all the building's functions. We also produced revenue generating facilities, including a health club, bars and cafés, to attract visitors throughout the day. 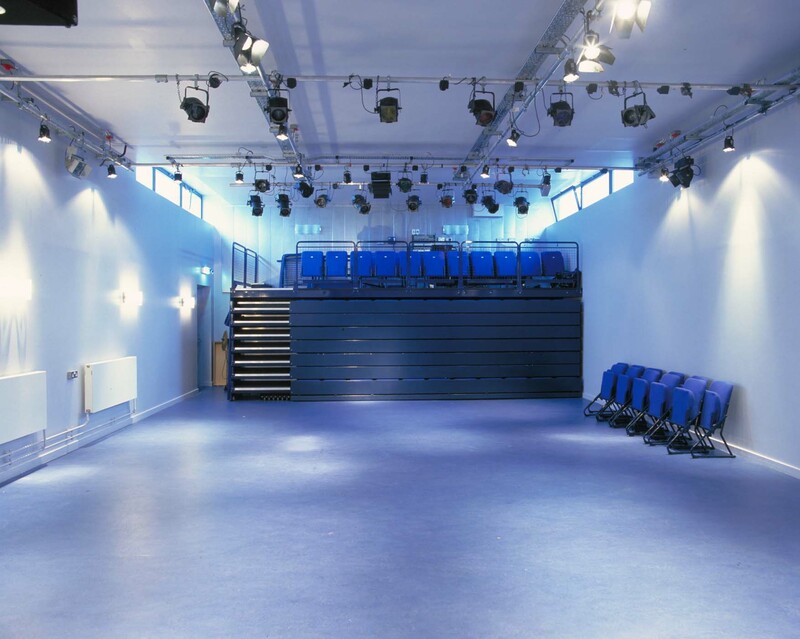 ARC houses a 275-seat theatre, a cabaret venue, cinema, dance studio, interactive studios and support accommodation. The building celebrates the arts and their role in civic life: the full height glass façade makes the three-level foyer, with its bars and public spaces, highly visible, during the day and at night. Informality and accessibility characterize our work here and the design of the building's interiors reflect this. 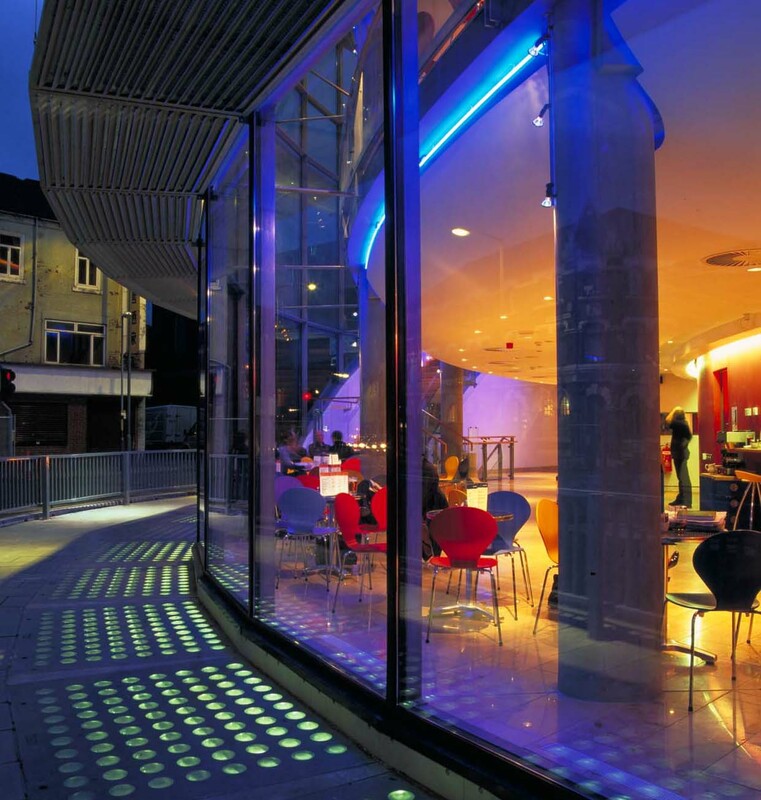 ARC is defined as a major public space by the curved glass wall to the three levels of foyers. Arts centre and street are part of the same urban experience. The foyers are central to the building's success. Colourful and welcoming spaces featuring programmes of video art works, which attract people throughout the day to cafés and bars. At night the brightly lit spaces are a focus for audiences and a display of community life. 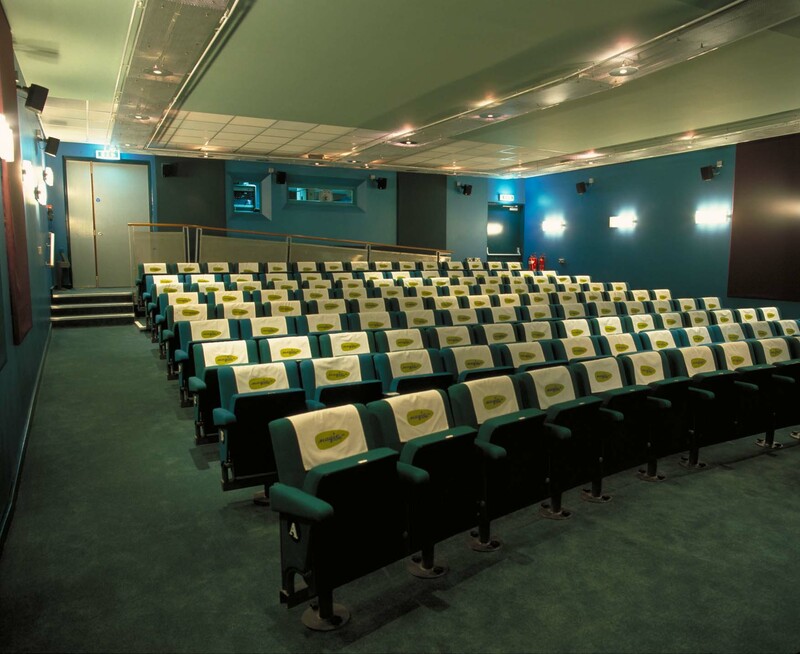 Our role as architects was to create a multi-purpose space that integrates all the building's functions. We also produced revenue generating facilities, including a health club, bars and cafés, to attract visitors throughout the day.